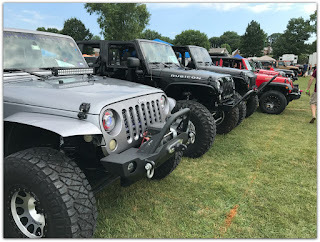 Jeep Momma - Blog: My First Jeep Show! 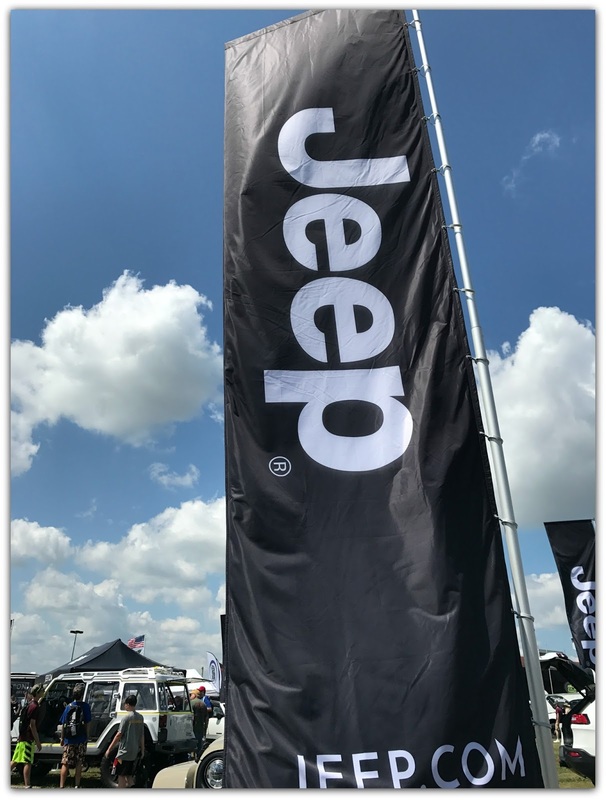 It only took four years to attend my first Jeep Show. Saturday, I finally made it to the 22nd Annual All Breeds PA Jeep Show in York, PA. 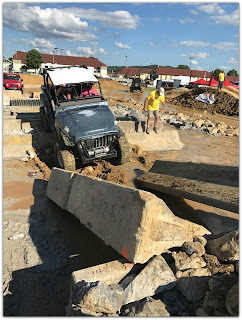 There was also a cool obstacle course sponsored by Rausch Creek Off Road Park and Metal Cloak brought their CTI Ramp. 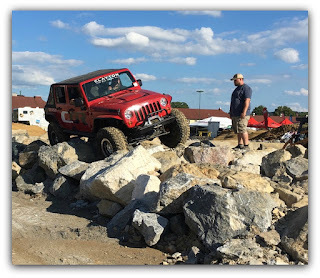 The obstacle course had rocks and dirt, off camber, climbs and descents, and a bridge crossing. It also had three different levels of difficulty. 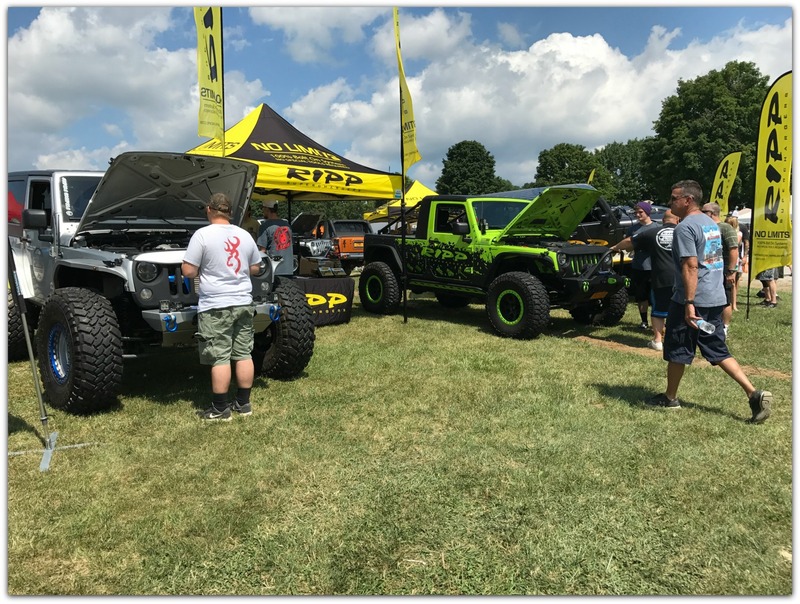 I decided to make my first Jeep Show a low key show, get my feet wet before I jumped all the way in. 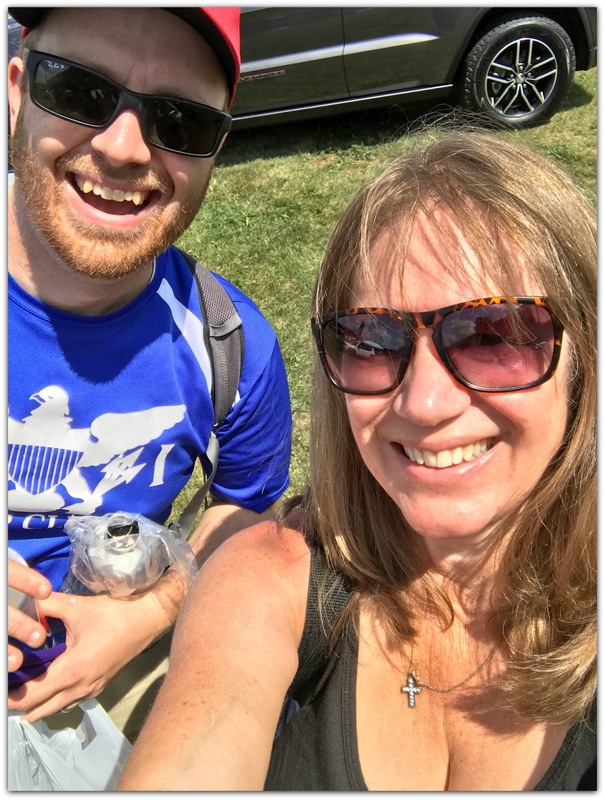 (or so I thought) I spent my first time getting a feel for the event. Most of the day was about networking, going from booth to booth introducing myself, and handing out my Jeep Momma bracelets and Jeep Talk Show koozies. 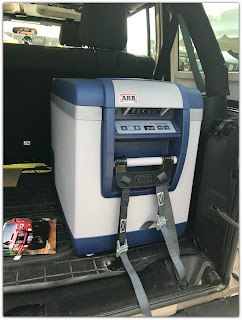 Along the way of visiting the vendors, I found some really cool products like this ARB fridge freezer. 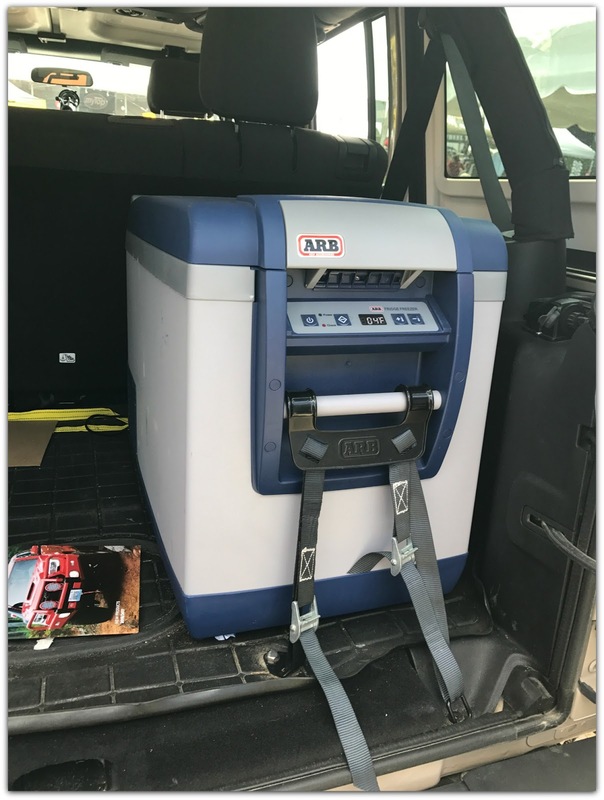 I will be adding this to my Jeep Wish List. 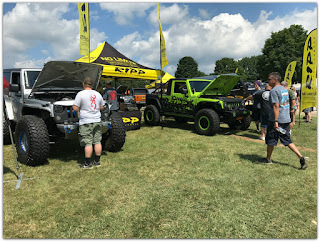 I also spotted some headlights from Justice Off Road that are going on that same list. 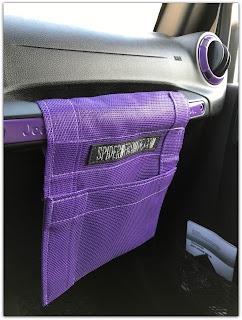 Of course I couldn't resist buying Jeep stuff, Purple Jeep Stuff! Spiderweb Shade has these cool SpiderWebShade Grab bags. 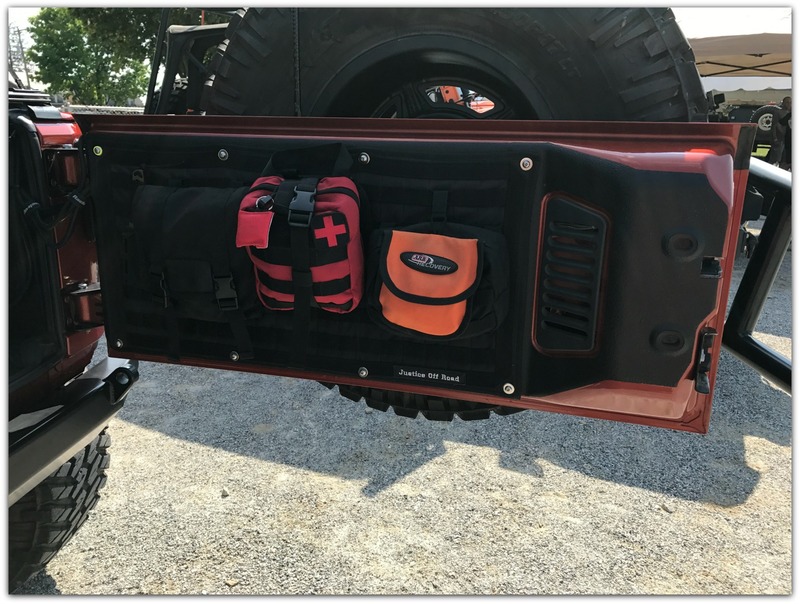 I also needed another Molle bag for my new MorRyde Ammo Can shelf. 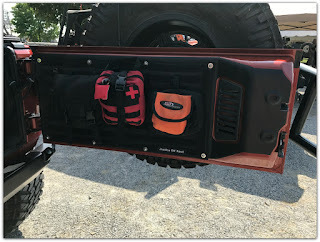 So I stopped by the Justice Off Road booth and purchased a 2nd Condor bag. I even ended up meeting some friends I met through social media. 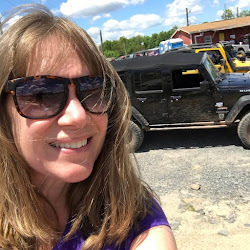 There was so much too see, so many cool Jeeps. 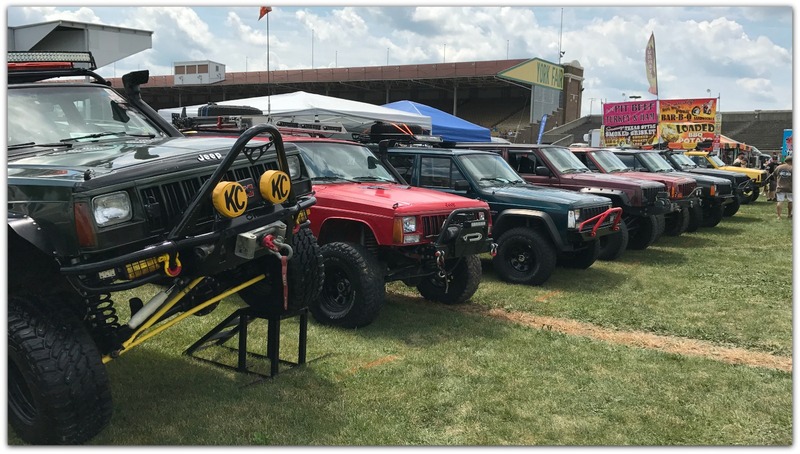 It was overwhelming all the Jeeps. At one point I needed to go back to my Jeep, but I couldn't find it in the sea of Jeeps in the parking lot. 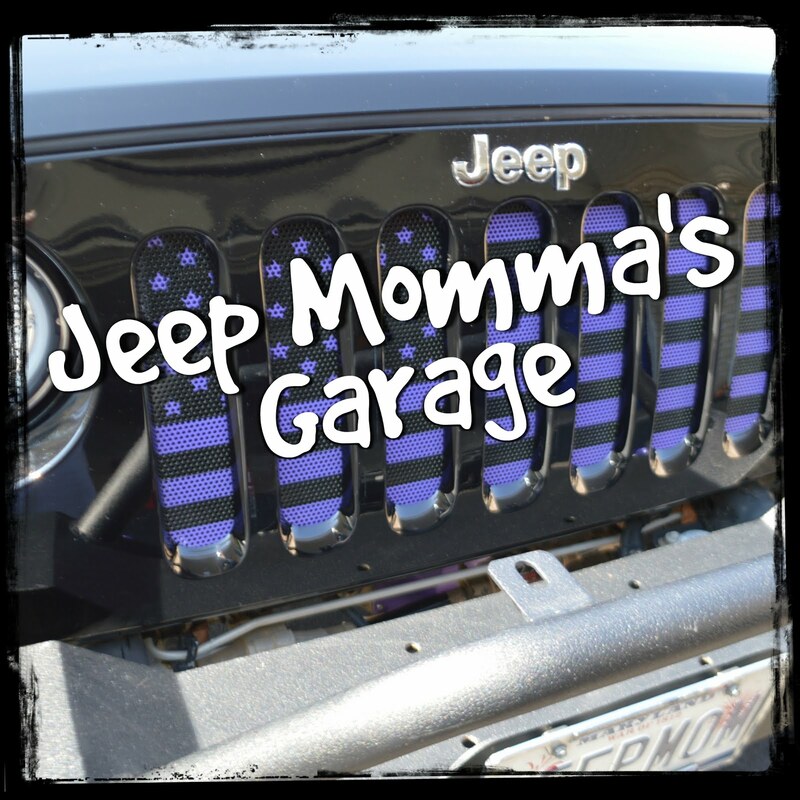 I Lost My Jeep Facebook Live! 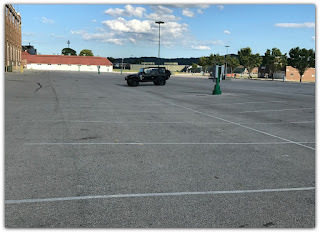 At the end of the day it was easy to find my Jeep. 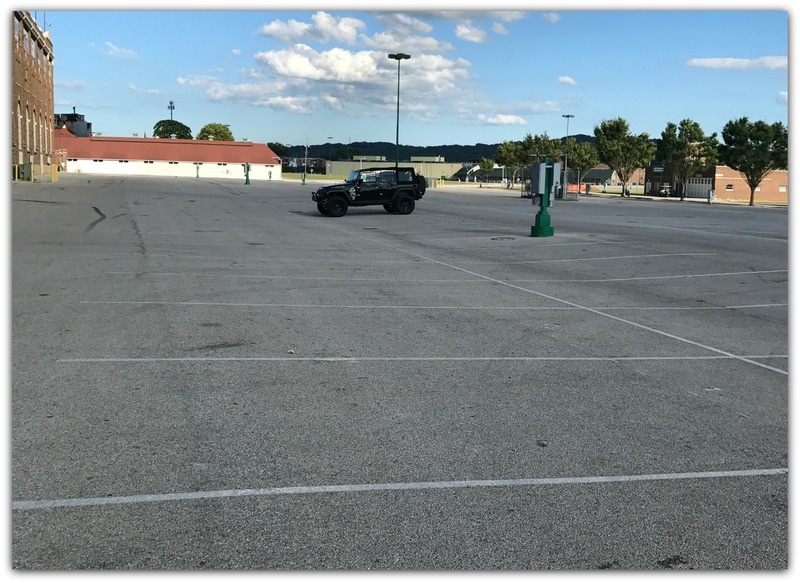 I am the type of person that doesn't like a good time to end, so I stick it out to the bitter end. 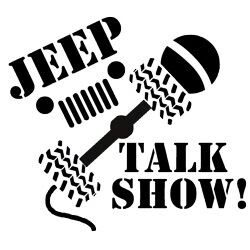 The end of the day's show was the best part. 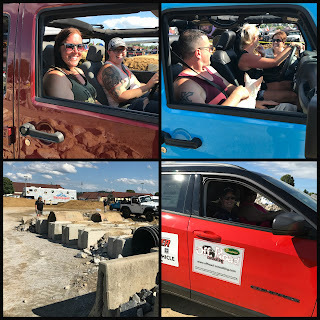 I was lucky to have participated in the Jeep Girls Rockin' PA Jeeps. Jeep Girls Rock, Rausch Creek Off Road Park, and Off Road Consulting put on a Meet and Greet for the ladies. Then we took over the obstacle course. 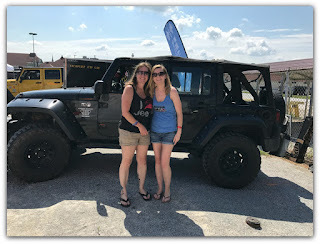 For some of the ladies this was their first time driving off road. It was amazing to be there to help them along. 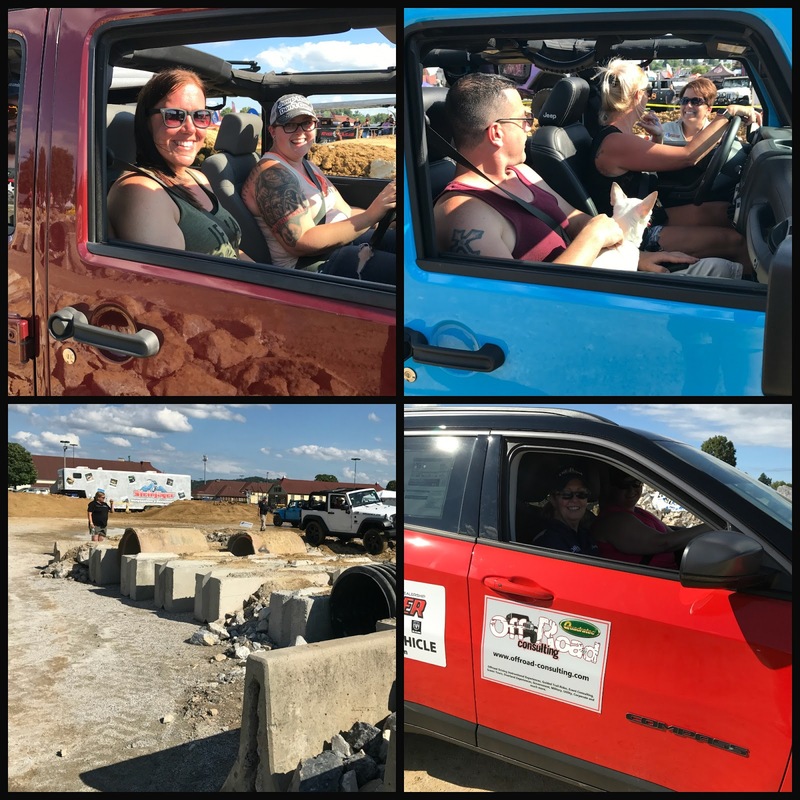 The smiles and excitement reminded me of my first time on the rocks. 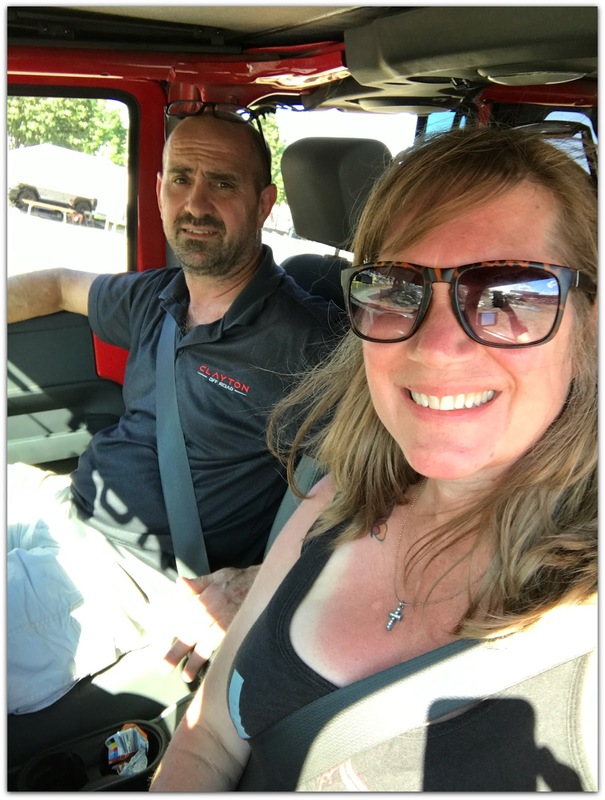 After I took some pictures I was able to hop in the passenger seat of the ARB 4x4 Jeep. But that wasn't enough. 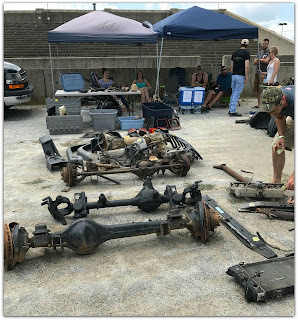 So I went in search of Clayton from Clayton Off Road. I talked him into giving me the keys to his Jeep. I decided to take the rocky path. Once up on the rocks Clayton reminded me to use the two footed driving technique. I have to say, I am pretty proud of myself, picking my own lines, and not even using the spotter. For me the day ended on a good note! Being able to play on the rocks. Thanks Clayton!!! Next year, I will be back. I will get my Jeep up on the rocks, and maybe even the CTI Ramp.